Prime Minister Dr Hubert Minnis officially opened the Grand Bahama Technology Summit at Grand Lucayan resort November 9, 2017. It is hoped the first Technology Summit will lay the foundation for establishing Grand Bahama as a tech hub for The Bahamas. The conclave runs November 9-10 and boasts an impressive list of speakers, including tech innovators and IT developers from Google, Microsoft, Hewlett Packard and others. 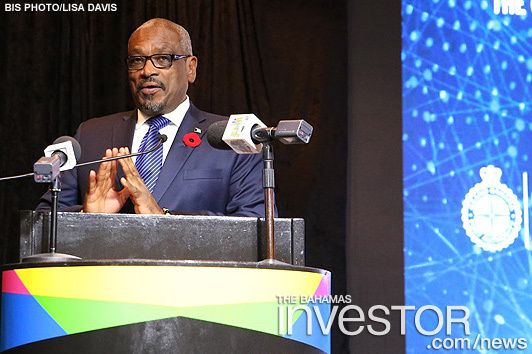 As the keynote speaker for the summit, Prime Minister Minnis took time to sell The Bahamas, particularly Grand Bahama, to tech companies present as a favourable place in which to set up business. He noted that the government of The Bahamas has embarked on a mission to establish Grand Bahama as a world-renowned technology hub. “Today, through this first ever Grand Bahama Technology Summit, we are starting on the path to realize this goal,” said Prime Minister Minnis. The Prime Minister noted that the island of Grand Bahama is uniquely suited to being an internationally recognized science, technology and innovation hub. Noting the island’s proximity to the US, he pointed out that Grand Bahama is conveniently located for international business. To further prove his point, the Prime Minister highlighted the island’s modern and superior infrastructure, as well as a reliable electricity supply and high-speed Internet. 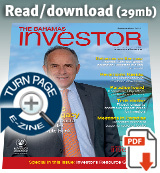 “The Freeport Container Port boasts the deepest container terminal in the region,” the Prime Minister noted. “Our 24-hour-a-day facility serves as a major transshipment hub between the US, Latin America and Europe. An important part of establishing Grand Bahama as a technology hub will be the development of human capacity through education and training. As a result, Prime Minister Minnis said he was pleased to note that the Grand Bahama campus of the University of The Bahamas is playing an active role in the summit. The Prime Minister encouraged the many students who attended the opening to explore careers in the fields of science, technology, engineering, mathematics and information technology. “Grand Bahama should be a place where Bahamians can confidently pursue careers in these fields and know that there will be an avenue for their skills to be utilized,” said Prime Minister Minnis. In closing, the Prime Minister extended a special invitation to all international tech companies present to consider The Bahamas in general, and Grand Bahama in particular, for their ICT conventions, annual meetings and corporate retreats. Parliamentary Secretary in the Office of the Prime Minister Pakesia Parker-Edgecombe officially welcomed the crew and passengers of the FRS Caribbean vessel, San Gwann to Freeport, Grand Bahama November 9.